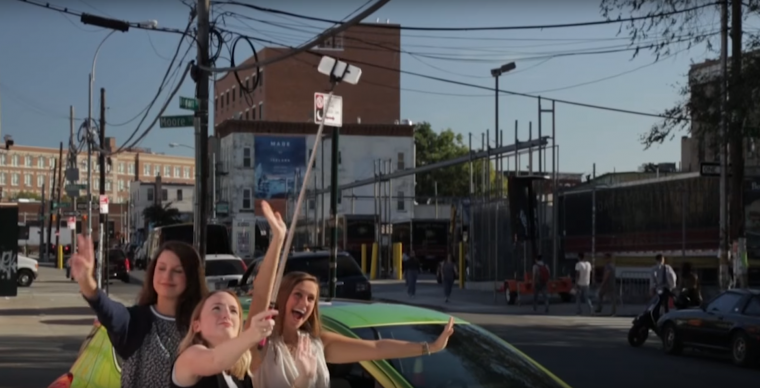 Chevrolet has been targeting Millennial car buyers recently with videos that profile the lives of young people doing cool things in urban environments. Speaking as a Millennial, I can say that the first video—which documented a Silverado driver’s efforts to bring the farm-to-table movement to Detroit—was fairly interesting, but it failed to leave me quaking with all-consuming envy. Do you know how much a three-bedroom apartment in Williamsburg goes for (even if it is just 600 square feet)? Probably at least $4,000 a month, according to some listings I just looked up on WalkScore.com. 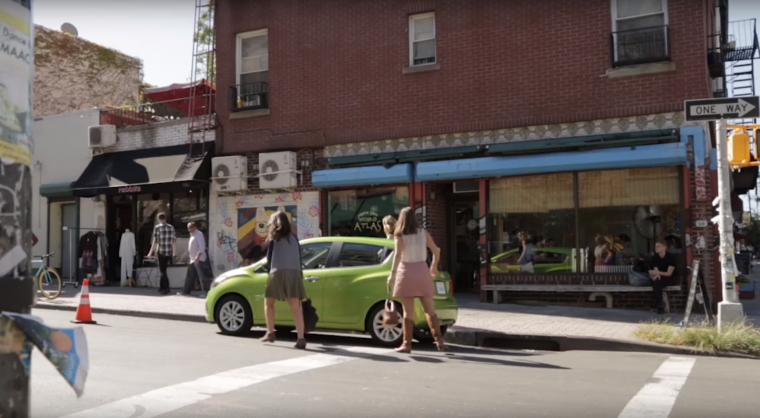 Speaking of which, you better believe that Williamsburg has a near-perfect Walk Score of 99 out of 100—and yet instead of walking or taking public transportation, these three girls appear to be sharing a brand new 2016 Chevy Spark. Available for as little as $13,000, the Spark is admittedly one of the cheaper models in Chevrolet’s lineup, but do these ladies really need a brand new car? In New York City? Not to mention, can you imagine what they pay for parking each month? And yet they still have enough money left over to eat at gourmet burger chain Umami, drink lattes at hipster coffee shop Devocion, and, whenever the mood strikes, drive up to Queens for some hand-rolled specialty bagels at Triple Shot World Atlas. Dammit, I want to be part of the real-life Nancy Meyers movie that these fresh-faced college grads are living! I want to be present at one of their frequent late-night wine sessions, in which they dish about each busy yet fulfilling day spent in the big city! I want to park my new Chevy Spark the wrong direction on a one-way street without a care in the world! WHAT DO YOU MEAN “GET TO THE TOP,” LINDSAY?!? WHAT COULD BE TOPPER THAN BEING YOUNG AND ALIVE IN THE HIPPEST NEIGHBORHOOD IN AMERICA??! “Anyone”? The only thing holding everybody back from living in one of New York City’s most gentrified neighborhoods is a deficiency of guts and work ethic? There isn’t one human being on the planet that would be unable to finance a trendy Brooklyn lifestyle on only an intern’s salary? Well, I am simultaneously skeptical of yet encouraged by this news, Kelly. Ed. note: This has been “I Want to Be the Women in This Chevy Spark Commercial.” To read contributing writer Matt Lardner’s rebuttal piece, “I Want to Be the Chevy Spark in This Women Commercial,” click here.